» Spain / Liga: Barça recover, title away from Real Madrid? Football Spain / Liga: Barça recover, title away from Real Madrid? A second defeat in two days and many questions arise. 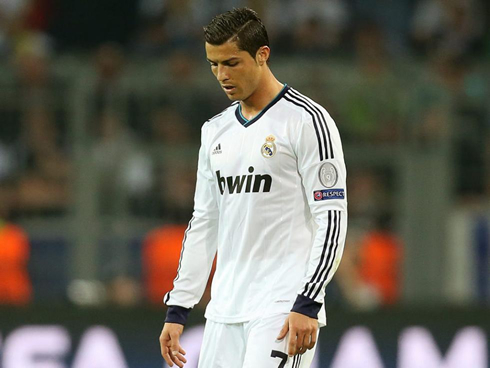 Do Real Madrid decrease arm in the title race in La Liga? The Merengues were unrecognizable at Sanchez Pichuan Wednesday against FC Sevilla (1-2). Despite an opening goal from Cristiano Ronaldo, Ancelotti’s men were beaten on a double by Bacca. Earlier, FC Barcelona imposed themselves on Celta Vigo 3-0 with the only fault, the serious injury of goalkeeper Victor Valdes. The latter can no longer play the entire season. Meanwhile, Atletico Madrid another club in contention for the title won 1-0 thanks to Diego Costa. Impact in the standings, Real Madrid dwindle from the second place to the 3rd with two points behind Barca and 3 adrift of leaders Atletico. Already Sunday, the White House had lost 4-3 in the Clasico. They have 8 remaining days before the end of the championship. Next post Racism in sport: are black basketball players not welcome in Israel?